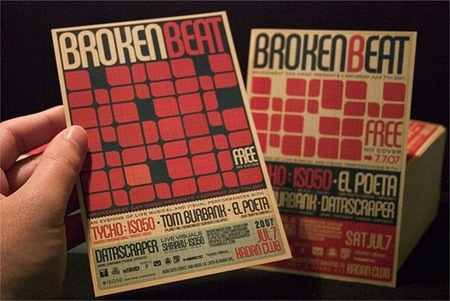 Miguel Vega took these shots of my flyer for the Brokenbeat night last July. 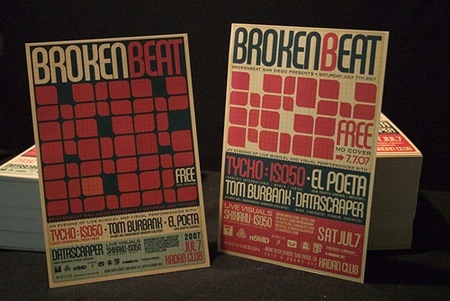 Brokenbeat Vintage-ize Your Iphone.. Michael Doyle – S..
Is there any way of making the flyers available to people overseas? 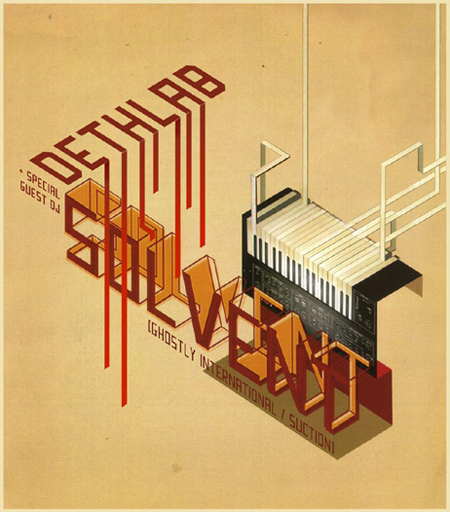 I’ll be releasing this design as a poster early next year and it will be available internationally. That looks great, it’s always more impressive to me to see design actually in print. is it possible to screen print type that small?